CHRIS JENKINS believes he’ll finally ditch his nearly man tag when he challenges British welterweight champion Johnny Garton. Swansea’s Jenkins (20-3-2) makes his third British title attempt when he faces Garton at London’s Royal Albert Hall this Friday night, live on BT Sport. Jenkins drew and lost a close points decision against Tyrone Nurse in super-lightweight title contests back in 2015. Hard luck came his way last year. Bad cuts saw him lose a technical decision against Akeem Ennis-Brown followed by a technical draw against Darragh Foley in international title battles. “I just hope that this is my time in a British title fight,” said Jenkins who warmed up for his big fight by outpointing Edvinas Puplauskas in early February. 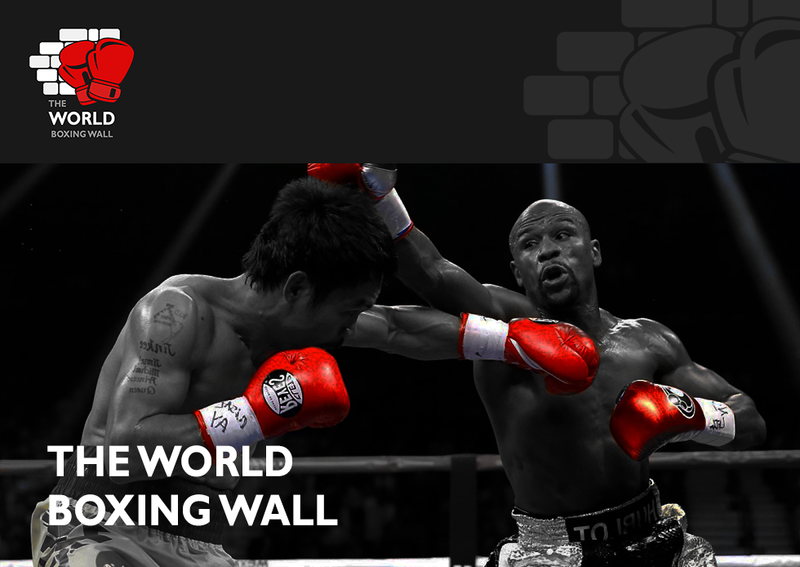 Jenkins, 30, added: “There are so many fighters, who get so close yet so far. “I don’t want to be known as the ‘almost man’ or the unluckiest Welsh boxer because of cuts and close decisions going against me. “The cuts are in the back of my mind, but I have to try and put it away and just box to the instructions my trainer Gary Lockett gives me. “We will see what happens on the night, but I am confident in my own ability and if I box to instructions from Gary I can beat anybody. Garton (23-1-1) has been one of the biggest surprises in British boxing in recent years and admits he never expected to get this far. Jenkins is one of the few who spotted Garton’s potential when they sparred for five rounds. Chris explained: “A few years ago I went to Johnny’s gym when Liam Williams was sparring with Bradley Skeete and we did a few rounds together. “It was a good even spar and a nice move around for both of us. “I thought Gary Corcoran was a tough fight for Johnny because he gave Liam Williams a hard fight, but everything he did was good and he drew Gary into the fight he wanted. The British welterweight title clash between the Pexican, Johnny Garton and Chris Jenkins takes place at the Royal Albert Hall this Friday March 8, live on BT Sport. 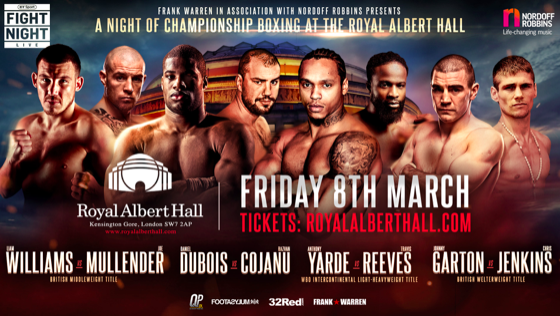 Daniel Dubois v Razvan Cojanu and Anthony Yarde defending his WBO Intercontinental light heavyweight title against Travis Reeves tops a huge night of boxing that also includes the British middleweight title clash between Liam Williams and Joe Mullender. Also on the bill is unbeaten featherweight Lucien Reid, who takes on his toughest test to date against Birmingham’s Indi Sangha, while unbeaten prospects Hamza Sheeraz, Denzel Bentley, Jake Pettitt, James Branch jr and Harvey Horn feature on the show.